He who sows the wind, shall reap the whirlwind. 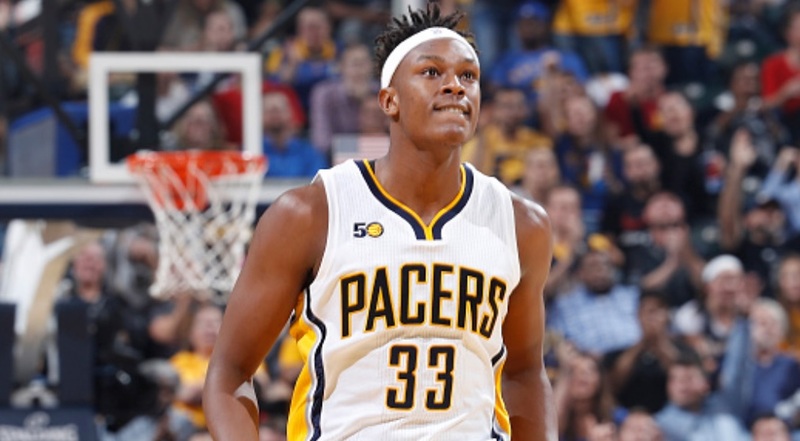 Myles Turner’s night in Philadelphia started with a provocation and likely ended in a $25,000 fine by the NBA. The Texas native wore his Dak Prescott jersey to remind Philly fans to what happened last Sunday, when the Cowboys took down the Eagles in overtime. The passionate and loud Philly fans then went on to give Turner a not so warm welcome, and heckled and booed him throughout the game. They must have gotten under his skin and got him to show the Philly faithful some love. When being subbed out late in the 2nd quarter, Turner flipped off the audience. As seen previously, that will likely cost the big man 25 grand. Myles Turner shows some love for the Philly faithful. Did LeBron James Leak The Warriors Rumor Himself? Previous story Sacramento Kings Hilariously Troll Stephen Curry During Warriors’ Introduction!